Organizations invest incredible amounts of time and money obtaining and then storing big data in data stores called data lakes. But how many of these organizations can actually get the data back out in a useable form? Very few can turn the data lake into an information gold mine. Most wind up with garbage dumps. Data Lake Architecture will explain how to build a useful data lake, where data scientists and data analysts can solve business challenges and identify new business opportunities. Learn how to structure data lakes as well as analog, application, and text-based data ponds to provide maximum business value. Understand the role of the raw data pond and when to use an archival data pond. Leverage the four key ingredients for data lake success: metadata, integration mapping, context, and metaprocess. 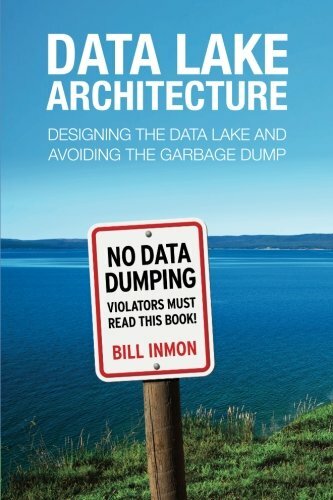 Bill Inmon opened our eyes to the architecture and benefits of a data warehouse, and now he takes us to the next level of data lake architecture. View More In Data Warehousing. If you have any questions about this product by Technics Publications LLC, contact us by completing and submitting the form below. If you are looking for a specif part number, please include it with your message.